Your wedding day is special and unique, just like the two of you. Selecting your wedding photographer is important because once the day is over, you want to be sure every moment was captured perfectly, from the small details of the flowers, to walking down the aisle, to your first wedding dance. 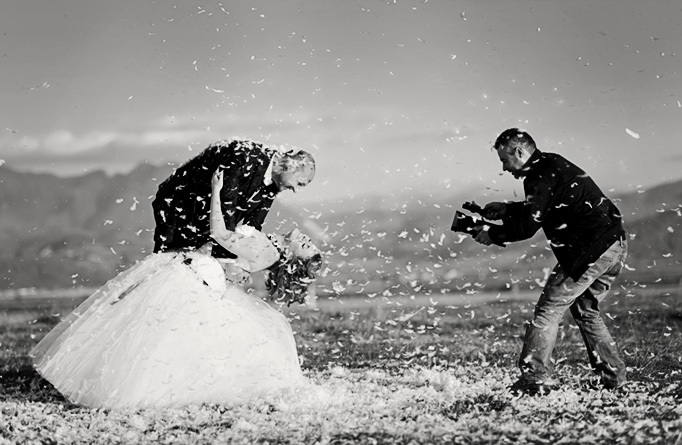 Here are 3 tips to help you work with your photographer to get the wedding photos you want. Talk to the your photographer and share who you are as a couple. This will help give your photographer a sense of the type of moments he or she should be capturing. Tell them if you have a funny or quirky side, or if you want it to be all about the romance between the two of you. The more you communicate with your photographer, the more they will understand what you want and be able to come up with ideas you haven’t thought about. Write down your photo ideas. You probably have a Pinterest board full of wedding photo ideas that you’d like to do. Share your favorites with your photographer. If you do this in advance, your photographer can plan for it, and it won’t throw off the schedule on your wedding day. But be sure to leave room for a little spontaneity, too. Those will be some of your most precious photos. Don’t forget to trust your photographer. More than likely they’ve photographed a wedding before, and they will do their best to get you the perfect photos. After all, these beautiful images represent their talent, and they want you to love them as much as they do. So tell your photographer what you want, and then let them do their job. You have a lot of details to think about that day. Wedding photos shouldn’t be one of them. Do you have wedding photography tips that you found helpful? We’d love for you to share in our comments section below! And once you have your beautiful wedding photos, don’t forget to personalize your wedding thank you cards to show off your favorites!